Why is 108 considered a sacred number? Why does a Mala have 108 beads? There are many references to this number in Buddhism, in the “Golden Rule” of the Greeks, in Numerology, and 108 gopis of Vrindavan. In Jyotish (Vedic astrology), there are many indications as well. Most common and well know among them are: 1) There are 9 planets and there are 12 signs. 9 times 12 gives 108. 2) There are 27 Nakshatras (lunar constellations) and each is divided into 4 padas or divisions. Again, 27 times 4 gives 108. But to a skeptic mind, these Astronomical “coincidences” may come as a surprise: 1) Distance between the Earth and the Moon is approx 108 times the size of the Moon. 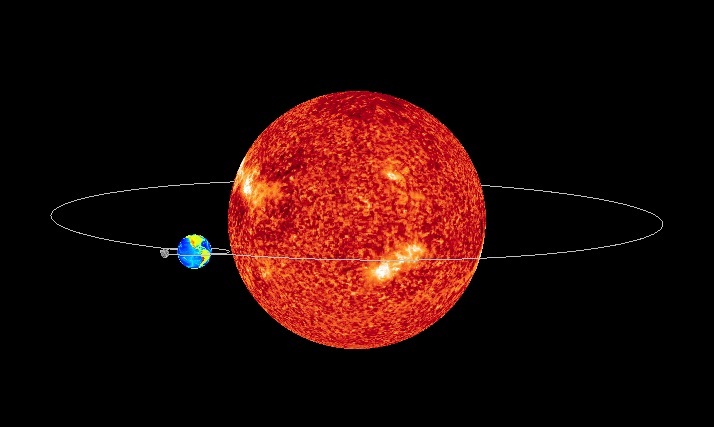 2) Distance between the Earth and the Sun is approx 108 times the size of the Sun. 3) Size of the Sun is approx 108 times the size of the Earth. Nothing is random in this Universe…or in ancient wisdom. This entry was posted in Uncategorized on May 10, 2015 by illuminatelifetoday. Gayatri Jayanti is celebrated as the day when sage Vishwamitra uttered Gayatri Mantra for the first time. It is observed on the 10th Tithi (Lunar day) of the Jyestha Lunar month. This year (2015), it falls on May 27 in the US and May 28 in India. Gayatri mantra is not just a means of worship, it is an object of worship itself. 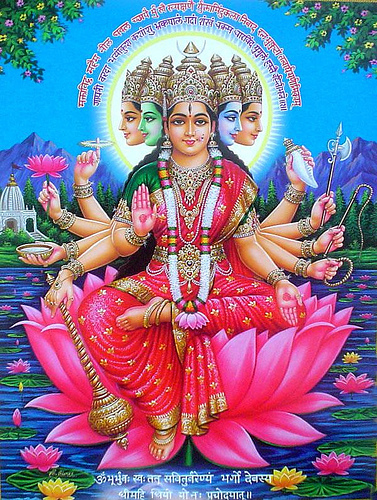 There is no difference between the Gayatri Mantra and Ma Gayatri herself. We meditate on the glory of the Creator; Who has created the Universe; Who is worthy of Worship; Who is the embodiment of Knowledge and Light; Who is the remover of Sin and Ignorance; May He open our hearts and enlighten our Intellect. It is highly beneficial to do Anushthaan (dedicated chanting of a mantra specified number of times every day) from today until Gayatri Jayanti (May 27/28). You can daily chant 1 or 3 or 5 or 11 or 21 Malas (one Mala is 108 beads). This entry was posted in Jyotish on May 8, 2015 by illuminatelifetoday.